Paper Smooches BLOSSOMING BUDS Clear Stamps at Simon Says STAMP! 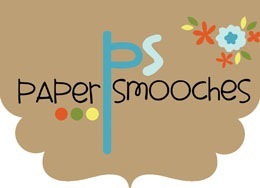 Success, Paper Smooches BLOSSOMING BUDS Clear Stamps has been shared! Beautiful blooms are priceless in a stampers collection. They can be used in soooo many card-giving occasions. This gorgeous 4 x 6 clear stamp set consists of 2 main flower images, 7 sentiments and 12 supporting images. Approx. sizes: Small flower cluster – 2 3/4” x 1 3/4”, Large flower cluster – 3 ¼” x 2”. Ideas to note: 1) Perfect for cards, home decor and layouts 2) Paper piece, glitter and color these unique flowers. 3) There are small flowers to stamp and build upon the larger flower clusters! 4) Use the smaller supporting images to create sweet scenes. This set consists of one-of-a-kind images and words that are hand drawn with love.